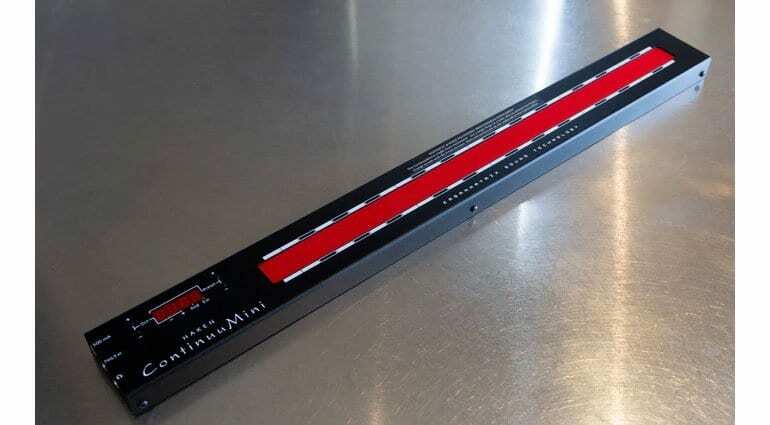 The ContinuuMini is the baby sibling of the Continuum Fingerboard a huge multi-dimensional keyboard-like controller and synthesizer. You’d be forgiven for thinking it’s an MPE controller but it’s actually much more than that because it includes an internal sound engine. 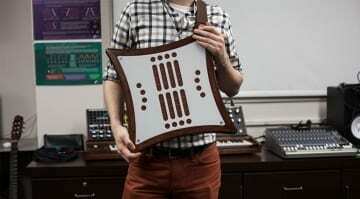 So, the ContinuuMini is an instrument all of its own. 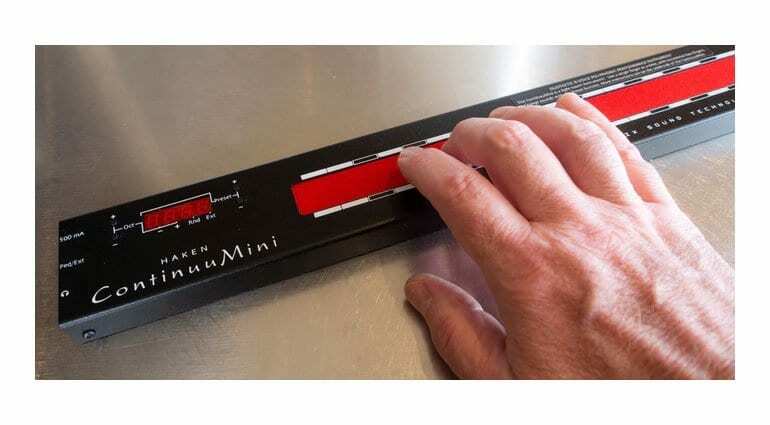 The Fingerboard is big and expensive and those are two factors the ContinuuMini hope to address. 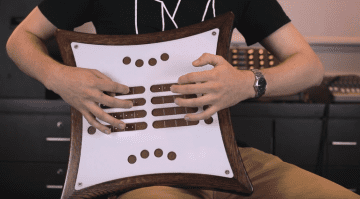 It takes the same expressive technology as the Fingerboard but reshapes it into a unique playing experience. The playing surface is one continuous strip, it’s like a mix of stringed and wind instruments and a ribbon controller with the good old MPE trombone/swanee whistle tendency. Top and bottom of the surface is a strip that indicates musical notes which I imagine is very helpful. The ContinuuMini has exactly the same sound engine as the big one. 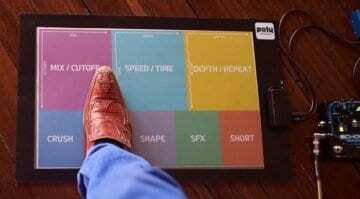 It’s called the EaganMatrix and was designed specifically for their expressive technology. 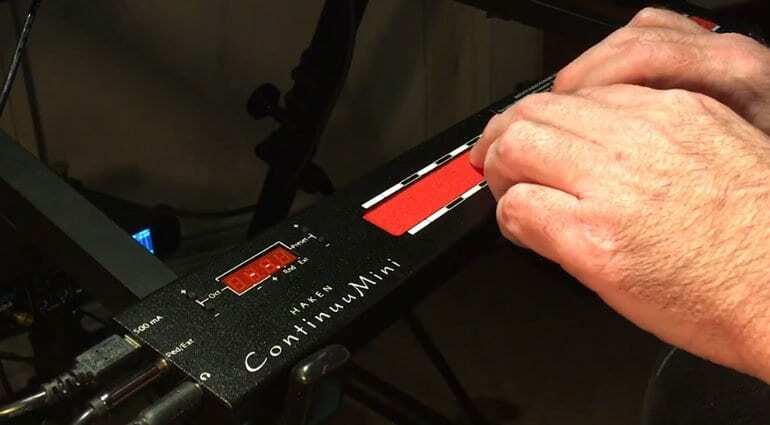 It is polyphonic but the ContinuuMini can only handle 1 to 2 fingers at a time and you would probably be playing a couple of overlapping notes possibly layering them up as you play. The playing surface certainly doesn’t lend itself to chords and it’s not pretending to be a piano. 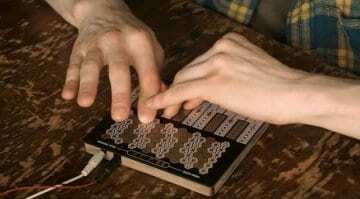 And although the sound engine has a software interface it doesn’t require a computer to access any of the features or sounds. 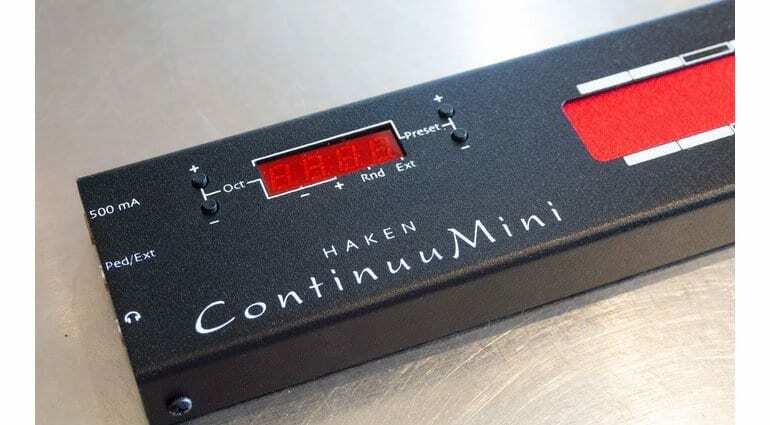 It doesn’t have any CV outputs however it does have a bi-directional serial port which, when it’s not being used as a foot pedal input, can take the massive Haken CVC 16 output CV expander box. There are other cool features such as Continuous Sustain while using a pedal to apply dynamics and other modulations within the EaganMatrix structure. It can handle MPE in both directions, letting you connect a ROLI Seaboard to play the internal engine while also playing along on the ContinuuMini. It’s an extraordinary expressive instrument, perfect for solos and developing dynamic and evolving sounds in performance or the studio. It’s light, portable and at $599 for an Early Bird preorder it hits the right sort of price point. The Kickstarter funded in a matter of hours but there’s plenty of time to get on board if this is your thing. The first few instruments should get to the early adopters by the end of the year, then the next batch should be January and more generally on sale by April.